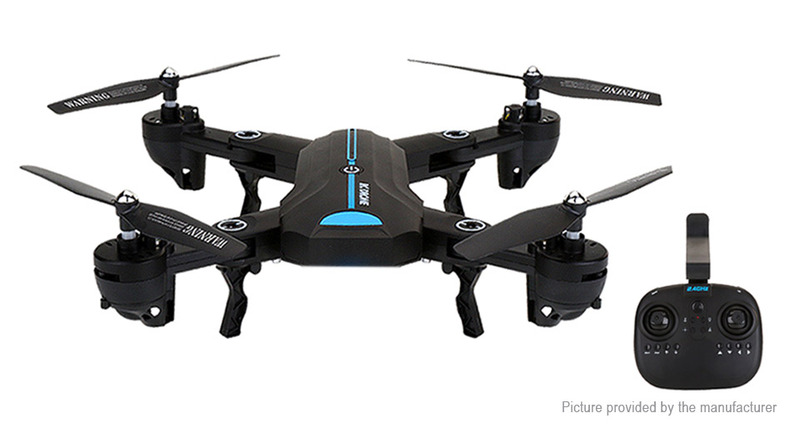 Global Drone A6 is a portable drone featuring foldable body, easy operation, FPV camera and 13 minutes flight. Considering it&apos;s ease of operation, it must come to it&apos;s headless mode, one key return and LED light for navigation which help beginners a lot in manipulating the drone. In addition to the transmitter, Connected smartphones via APP are allowed to control the drone, like waypont function that is to say drawing line on the screen means set a scheduled routine for drone to follow and with G-sensor, the drone follow the direction to fly in accordance with the tilt of smartphone. Ease of control: 2 control methods, included transmitter and your smartphones both are ok. And combined combo can not only deliver user friendly interface but also real-time video and photo transmission on-the-screen by clipping the connected smartphone on the bracket of the transmitter. Anti-interference 2.4GHz frequency: 100m transmission range maximized the distance of control allowing the drone to fly higher and further. LED light for navigation and 3D flip and roll performance: unlike some drones that merely are capable of fixed movements like forward, backward and sort of, it display 360 degree flip and roll in sky more charmming in the night with it&apos;s eye-catching LED light.